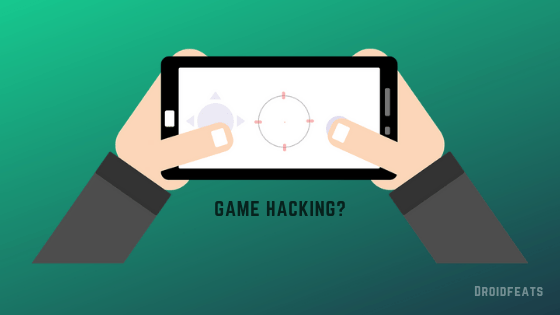 What is Game Hacker for Android? Is that legal? Games are now a big thing about Android. From COC to PUBG, you can see millions of audience playing around. But at the same time, a lot of developers are building custom mods and cheats for Android games. But what is it? Let us discuss below! Hacking a game might be sound quite fascinating for some people. You can do something extraordinary inside the game. Many hackers hack at the server level in some game like PUBG, DOTA, Mobile Legend, etc. On the other hand, some of them develop custom APK by modifying the original file. Mod APKs contain some patches that can edit your game files and manipulate some data. You might hear about Xmod – one of the famous gaming mod for Android which needs root access to apply a patch on your game. SB Game Hacker is similar to that, but it doesn’t require any root access. Using such a mod app, you can cheat in the Android game, and became a champion, provided you are not banned. Is that legal to use a mod app for gaming? We saw a lot of reports in recent years of getting banned in COC because of Xmod. Also, PUBG is banning all the mod users and server hackers. I guess you got the answer. Hacking Android game is not legal in most of the cases. Maybe you can enjoy some mods in offline games, but when it comes to multiplayer online games, it’s not allowed. Google does not allow hackers to upload such kind of hacking app in the Play Store. So, it’s not legal to use the mod in Android games especially those running online server. You may use mod APK in offline games, but for fun purpose only. You should not cheat other as per the legal rule by Google. SB Game Hacker is one of the powerful mod apps that let you get cheats in many Android games. You can make your game-play easy, simpler and score better than anyone. This app will undoubtedly give you much fun while playing with friends and showing unbelievable scores. But in the end, what is the point of cheating? Ask yourself, what are you gaining with this app? Should you use a mod to hack Android games? Cheating is bad in all cases. Ask yourself, if you enjoy cheating in-game? Hacking is illegal everywhere. There are some strict laws against piracy. Therefore we suggest you not to involve in such activities. Rest, we leave it on you! It’s your wisdom, as Droidfeats do not promote any kind of hacking techniques. At last, please do share this article with your gamer mates, so that they should be aware of hacking. Top 20 WhatsApp stickers for you [Download]: Hand Picked! Realme 2 Pro updated with fingerprint shooting and February security patch!